Dr. Kyba’s research laboratory focuses on regulation of tissue-specific stem cells (hematopoietic and skeletal muscle) with a view towards ex-vivo expansion and therapeutic transplantation, as well as the derivation of tissue-specific stem cells from embryonic or iPS cells. He is also developing methods of performing BMT without irradiation or chemical conditioning. He has performed seminal experiments establishing the proof of principle for hematopoietic stem cell repopulation using embryonic stem cells and maintains an active program in the development of gene-targeting / genetic correction / cell therapy models. Dr. Kyba is a Professor of Pediatrics and Carrie Ramey / CCRF Endowed Professor in Pediatric Cancer Research in the Department of Pediatrics' Division of Blood and Marrow Transplantation. He is also an Endowed Scholar of the Lillehei Heart Institute, and an affiliate member of the Stem Cell Institute. Dr. Kyba received his PhD degree from the University of British Columbia in 1998, and completed a postdoctoral fellowship in stem cell biology at the Whitehead Institute at MIT, Cambridge, MA in 2003. From 2003-2008, he was Assistant Professor of Developmental Biology at the University of Texas Southwestern Medical Center at Dallas, TX. 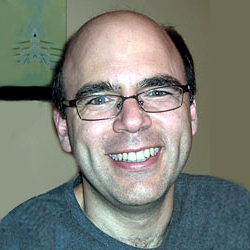 He joined the faculty at the University of Minnesota in July 2008. Dr. Kyba has published over 100 research manuscripts in scientific journals, including: Cell, Science, and Nature Medicine. 5. Goloviznina NA, Kyba M. “Twist of fate for skeletal muscle mesenchymal cells” (2017) Nat Cell Biol. 19:153-154.